When investing in high risk and higher return assets such as cryptocurrency it is prudent for an investor to maintain a balanced portfolio. This is often accomplished by diversification with physical precious metals. Many investors believe that there is far too much debt in the world. Some also believe that the current stock market rally is not sustainable and that the next collapse is not a question of “if” but “when”? Did you know that if you have an existing retirement account, like a Traditional IRA or 401k from a previous employer, you may be able to own physical precious metals as a standard, nontaxable(*), transfer or rollover? You can click here to get started immediately or call (844) 378-8611 now to learn more. Click on the “Get Started” tab at the top or bottom of the page to begin the process immediately. Some clients wish to own their metals with an existing retirement plan, but feel more comfortable having their investments close to home. If you prefer the idea of self storage, we can help. You can get started here or for more information Call CDM Now and inform your personal Account Executive of your interest in a Self Storage LLC. CDM Exchange’s leadership and team have over 65 years of combined experience . We provide clients with physical precious metals for immediate delivery. Funds can be made available by credit card, personal check, cashier’s check, ACH and bank wire. CDM’s precious metals are shipped discreetly and securely to your front door or place of business. Shipping and insurance is free regardless of volume. Call now to speak to one of our experienced Account Executives! At CDM Exchange when it comes to precious metals our approach is simple: When investing in precious metals there are four key pieces of information that any client needs to answer to enable an informed decision. Gold and Silver traditionally have an inverse relationship with the dollar and stock markets and thereby allow for portfolio performance when other paper areas, like stocks and bonds, may not. In 2008, as stocks fell by 50%, gold and silver rallied to all time highs. By investing part of your investment portfolio or retirement account into precious metals, an investor is able to capture growth areas of their portfolio that would have otherwise been unattainable. As the value of the dollar continues to slide, gold and silver are limited in supply, have a high demand and have both appreciated over 400% in the last ten years. 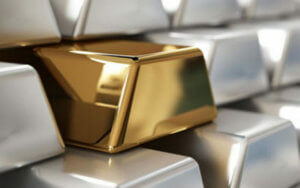 Gold, silver, platinum and palladium are tangible, real assets that you hold in your hand, safe, or retirement account. They are not stocks, shares, or assets assigned a value by a company or government. They are portable, valuable, discreet and can be gifted or passed down to loved ones. Our experienced portfolio managers will explain all your options and the different coins and bars available. At CDM Exchange we believe that what matters most is diversifying in precious metals regardless of look, or rarity of a particular asset. Our experience portfolio manager will explain the difference between precious metals based 5 simple variables to enable you to buy what make sense for you and your needs. CDM Exchange provides its investors an exit strategy which enables them to capture their benefits when needed. “Physical gold and silver are tangible wealth. Physical precious metals are finite natural resources that are liquid, portable and of the same universal value. This makes them an ideal alternative to paper or digital investments as well as a time tested hedge to inflation. In the United States, gold is measured in dollar terms. This means that if the value of the dollar were to decrease, then in theory the dollar price of physical gold will go up. Analysts also believe that the right allocation can help reduce overall portfolio risk. As previously noted, gold and silver tend to move against the dollar and also tend to perform well in times of geopolitical or financial strife. In 2008 at the height of the great recession, gold was roughly $650, by 2011, gold was $1920. Most clients view gold and silver as a safe haven or insurance for their wealth. With our unique approach to helping clients diversify with precious metals, you will find our process easy, clear and transparent. You will be in control of the process and the decision making. Our experienced Account Executives will explain your options and answer related questions to enable you to make a decision that best fits your particular needs. In a world of increasing volatility and uncertainty, it is critical that every portfolio have exposure to physical precious metals. Gold, silver and platinum provide a portable, tangible “safe haven” that reward even the most prudent investor. Gold may be the oldest store of wealth known to man. 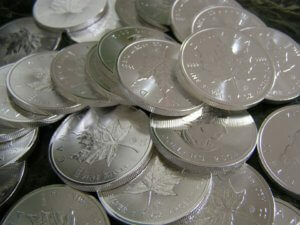 Silver on the other hand is not only a monetary metal but is also heavily used in industry. Physical Precious Metals are finite, tangible, portable and have an inverse relationship to paper currency and stocks. Gold, silver and platinum tend to rise higher than the typical rate of inflation. If the American people ever allow private banks to control the issue of their currency, first by inflation, then by deflation, the banks and corporations that will grow up around them will deprive the people of all property until their children wake up homeless. Throughout history few assets have captured the hearts and minds of men as physical silver. Silver is scarce, beautiful, has antimicrobial properties is heavily used in industry. Silver has been used for monetary purposes since roughly 3000 B.C. The United States, when issuing its first currency after its independence, set the value of the dollar equal to a weight in silver. Silver coins continued to be used as money until 1967 when the treasury removed all silver coins from circulation and in 1968 ended the redemption of silver certificates. Today, silver is possibly the most patented metal in the world and a great deal of physical supply is allocated to satisfy industrial demand on a yearly basis. This industrial usage depletes a great deal of the physical supply of above ground silver and could lead to much higher prices. Gold and silver are similar in many ways. Silver is a “diversifier”, a hedge, crisis instrument and a tangible way to pass down wealth.In order to fully understand the robust role silver plays, one must first understand the subtleties of the asset which are clear and straightforward. Fundamentals of silver that could provide growth opportunities. For example, silver is more abundant in the earth’s crust than gold. For 90% of the last 2000 years, silver has traded at a relationship of 17 ounces of silver to one ounce of gold. When that relationship becomes distorted, it may indicate an opportunity to invest. Currently if one divides the spot price of gold by the spot price of silver, the spot price being defined as the price of the precious metals in the ground, before being converted to a bar or coin for delivery, at the time of this writing, the ratio of silver to gold is, at the time of this writing, 81 to 1. This means that silver’s dollar price should in theory be nearly five times higher than where it is priced currently. This represents a massive indicator for silver as a unique investment opportunity and shows that potential upside for silver is high. Silver provides unique diversification opportunities as both a non correlated asset to traditional paper assets like stocks and bonds. From 2007-2011 silver saw unprecedented returns while many investors were still in the depths of the Great Recession. At its peak, silver had appreciated a whopping 1013% from early 2000 to May 2011. Lastly, silver is and has been used as money for thousands of years. In some circumstances silver is still so being used today as a crisis instrument or liquid medium of exchange. Silver comes in a variety of sizes that are suitable for all situations be it the institutional investor or individual alike. Call (844) 378-8611 today to learn more about your investment options in physical silver or contact us here. Of all the precious metals, platinum tends to be viewed as the highest valued. For over thirty years, the dollar price of platinum has traded at a significant premium to gold and today investors are capitalizing on the rough 20% discount to its historic premium to gold. 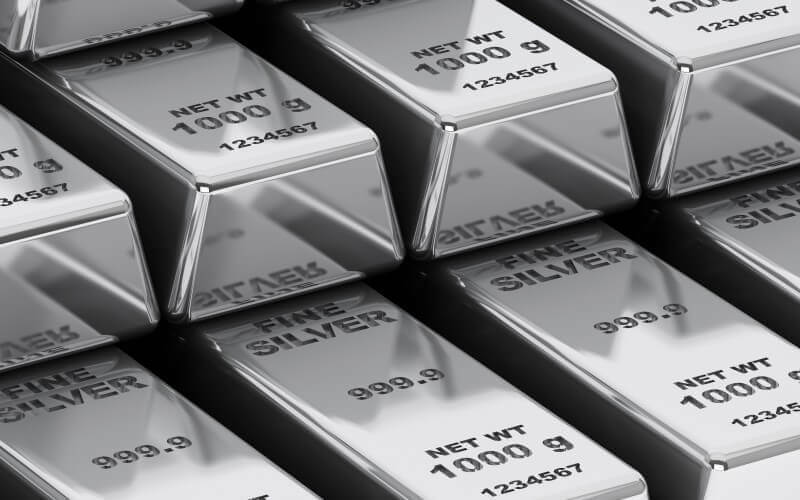 There are reasons such as supply and demand dynamics, consumption, trading volumes, and investor appetite to believe that platinum could skyrocket in the coming years. Platinum is incredibly difficult to mine or mint and while all precious metals are rare, platinum tend to be one of the scarcest. Moreover, the physical composition of being roughly ten times harder than gold makes it extremely expensive and hard to work with. If platinum isn’t hard enough to work with, the U.S. Geological Survey, 2013 shows that the majority of the platinum mines are from only two countries: South Africa and Russia. As an astute investor it should be easy to recognize that the production difficulty for platinum in addition to the mining supply being largely located in 2 countries, coupled with a fundamental lack of physical supply, supports the argument that platinum premiums should move far beyond where they are today. Platinum is one of the most popular metals used in jewelry. Its characteristically highly dense and is preferred in many cases to yellow gold due to durability. In addition to jewelry, like silver, platinum is also heavily used in industry for products like catalytic converters, oil refinement, scientific equipment and more. The many uses of platinum and the reality that when the metal is consumed, the ultimate overall supply is decreased. Steady demand and a falling supply is another argument for higher prices in platinum. Another compelling reason to invest in platinum is the historic trading relationship to Gold. Platinum, for all the reasons listed above, typically costs more per ounce than Gold and at its height, the premium of platinum over Gold was roughly ten times higher in 2009 than where the premium sits today. The dollar price of platinum has traded over the dollar price of gold for the vast majority of the last 35 years. With a low supply, difficulty in being worked with and a historic low premium to Gold, platinum presents a tremendous investment opportunity for the long term holder. With the Dow Jones at record highs and the markets in a state of extended euphoria, it would not be uncommon to see the investment community rush back to the physical platinum space in the blink of an eye. Ironically one of the reasons for the fall in the price of platinum is the slowdown in industry that may or may not have started to pick back up. Platinum is again heavily used in industrial application and therefore should the industrial demand fall, so should the price for an asset like platinum. The 2008 Great Recession certainly put a damper on industrial productivity for many years. Why then, ten years later, when markets are at an all time high and investors are being told that “everything is fine”, is the industrial demand still lagging? Why do most investors feel that the “next shoe is about to drop”? The answer is fairly simple. The economic landscape has not been cleaned up and the fallout from the financial crisis of 2008 is still very real. Should the world economy come to the brink of collapse again, acquiring platinum at these historic lows could not only provide a hedge, safe haven or safety net, but also a wealth preservation method for generations to come. 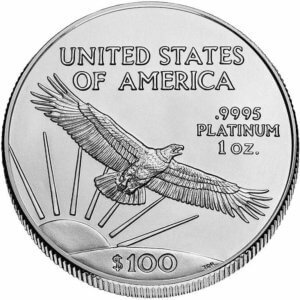 Moreover, when the motor of the world begins to run on time again, the dollar price of platinum could be significantly higher than it is today. With our unique approach to helping clients diversify with precious metals, you will find our process easy, clear and transparent. You will be in control of the process and the decision making. Our experienced Account Executives will explain your options and answer related questions to enable you to make a decision that best fits your particular needs. Call (844) 378-8611 to speak one of our Account Executives or contact us. In A Few Short Moments You Can Add Platinum To Your Investment Portfolio! Call CDM Now! © 2017 CDM Exchange – All rights reserved. *CDM Exchange cannot accept credit cards as a form of payment for cryptocurrency purchases. *CDM Exchange does not provide tax or investment advise and recommends that investors check with their tax advisers whenever they have tax questions. *CDM believes physical precious metals to be a safe haven but the performance of any investment solely depends on timing.